The music industry’s weekly Industry Nite will host superstar, Wizkid on its December special edition on December 29, 2015 at the Oriental Hotel, Lekki Lagos. On a night that will witness massive turn-up from the industry’s big wigs. What a way to say goodbye to 2015 in grand-style, the organizers are of the weekly industry nite putting together the biggest concert ever witnessed in Nigeria, it’s the December Special with the Star Boy boss. 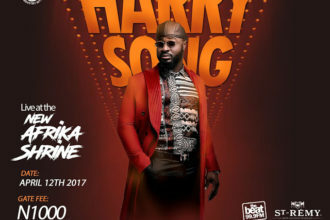 The hit maker who has marveled his fans with numerous songs will be thrilling the guests on the night while organisers of the event have also revealed that they would be unveiling a new addition to the event that is set to bring the house down. This concert comes over 3 years since he was last hosted at the music industry event, which was when he dropped his first album- Super Star. You do not want to miss out on this edition of the weekly event. This Special edition of Industry Nite is powered by St Remy, Pulse.NG, Mcomm, BeatFM, and KIZA.